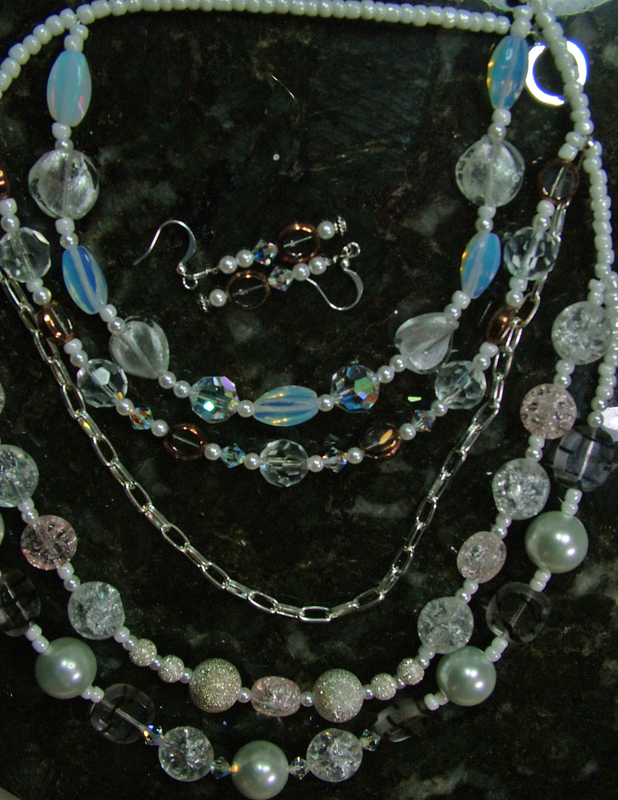 This superb necklace set holds the ‘wow’ factor firmly in place. An exquisite collection of semiprecious stones, pearls, crystals and more, plus a single chain separates the the tiers of the necklace as they fall around the neck. Can be worn, daytime through evening and no matter the occasion it will get you noticed and enhance any outfit to perfection. One only and a must have for summer in pale whites, barely there green, clear glass and silvers.